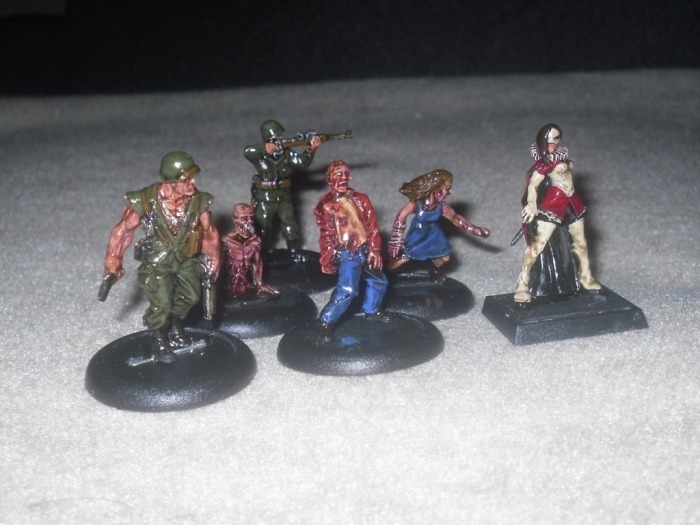 There's a number of ways you can “dip” miniature models to bring out depth and detail. One method involves mixing inks with Future floorwax. Another way is the original Miracle Dip method, which utilizes woodstain/sealer from Minwax Polyshades line, in particular the #360 Satin Tudor shade. The first method isn't for me. I'm not about to attempt mixing inks and floor wax, because I know that I will mess it up, and end up wasting money while I'm at it. The 2nd method I've tried before years ago, but I wasn't that fond of it, because it was a sticky mess, and that specific shade of Minwax Polyshades stain wasn't easy to find, and still isn't to this day. It was also rather thick, and not so easy to work with. There's now a third option, the Army Painter QuickShade. QuickShade comes in three specific shades, Soft, Strong, and Dark Tone. 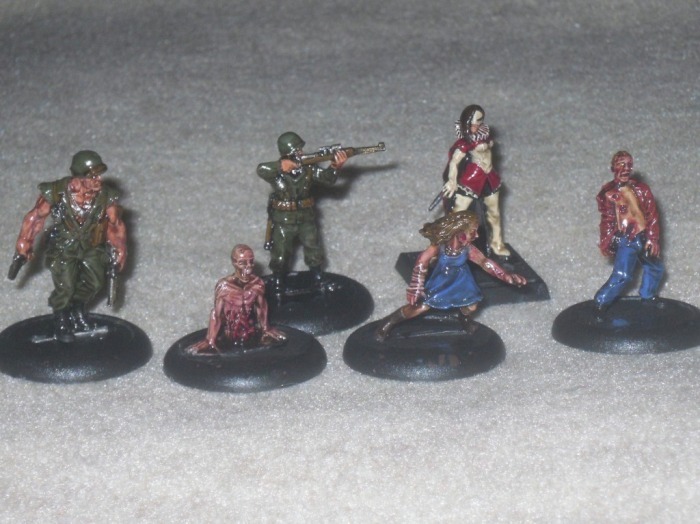 It's a pigment based solution, and it was designed specifically for dipping wargaming miniature models. I was sent Strong Tone and Dark Tone shades to work with for this review, a can of the Army Painter aerosol based Anti-Shine Matte Varnish, and their Matte Black Undercoat aerosol based primer. 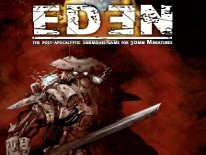 Those three products combined is what they the suggest to use for adding depth, and detail to models from 10mm-28mm scale, and everything in between. The first thing I learned about Quickshade (QS) is that this stuff is a sticky mess just like the Miracle Dip method, but maybe not quite as bad. QuickShade is thinner, making it a little easier to work with, and it smells better. This is not the kind of stuff you can expect to work with at your normal painting table, unless your painting table is in a garage, or in an unfinished basement where you don't mind getting this stuff if you happen to slop some by accident. Turpentine is what they suggest to use to clean up paint-brushes and clothing with. I picked up the smallest can I could find for about $6 at K-Mart. There's two ways I'm aware of that you can use Quickshade. They suggest on the can to dip the entire model into the can, and then shake it hard about 5-6 times to get the excess off. I saw a video that they made on YouTube, which shows a guy from Army Painter using pliers to hold the mini, and shaking it violently over a tarp spread out on the floor. I don't have the room to pull that off, as I live on the 2nd floor in an apartment, and I really don't feel like going all the way downstairs, and then outside into the back yard, just to look like an idiot shaking my toy soldiers in mid-air to get the extra slop off. That method isn't for me. The 2nd way to use QuickShade is to use a paint brush that you don't care much about ruining, and brush it on. They call this the Splash On method. This method allows you to control how much you're using, and you waste a lot less QuickShade in the process. I opted to brush it on. I also accidentally dropped a model completely into the can, so I've inadvertently tried the dip method as well. 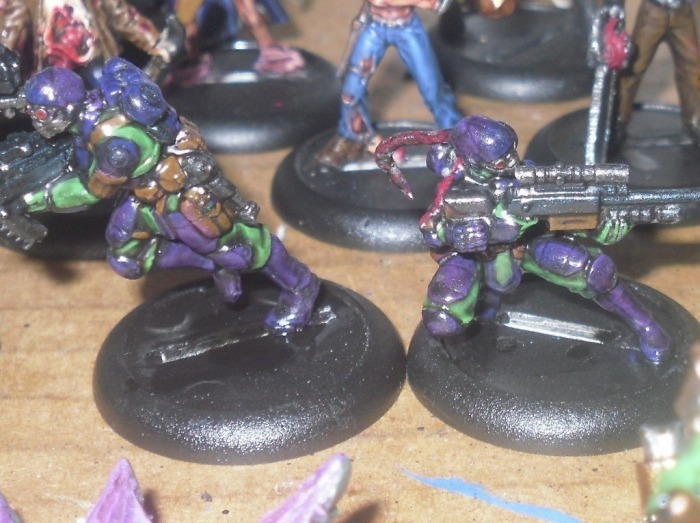 I proved by accident that you will waste a lot more of the QuickShade dipping models than you will using a brush too. Brushing the QS on is quite easy. It tends to pool at the base of most models, and the trick is to control how much you apply, and make sure you get it into the detail cracks and crevasses where you want it only. You also need to grab the excess as it pools around the feet, or at the bottom of capes and what not, and pull it away. If you don't you'll end up with a brown or black mess pooled in areas you don't want it. I also ended up with some black pools on the underside of a weapon, and in the seam between an upper and lower torso, so it will take some trial an error to get the hang of using this stuff properly. I'd suggest working with test models that you don't care very much about the first time you use this stuff. By the time I was on the 3rd or 4th model, I figured out what not to do. The pooling can also ruin any scenic basing you're doing, because once dried you end up with a pool of glossy brown or black gunk dried around the base. 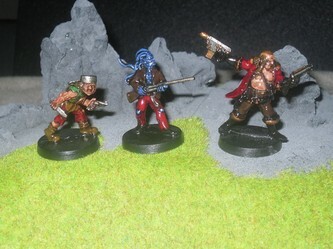 I was working with some Freebooter's Fate miniatures, which I hadn't finished painting the scenic base plates on, before using the QuickShade. So as it started to dry, I ended up taking a brush with some turpentine on it to pull away any extra gunk that I didn't want in the way later. They suggest 24 hours for complete hardening, and I'd say that's about right. After 10-12 hours they still seem sticky. Once dried they're hard and extremely glossy, which is why they suggest to use the Army Painter Anti-Shine Matte Spray Varnish to dull them back down to acceptable levels. This is where I ran into a problem. I swore years ago when I ruined a bunch of figures that I sprayed with GW's matte varnish during summer, that I'd never again use spray varnish. I've since used brush on sealer/varnishes, and haven't had a single problem until now. My mistake with this Anti-Shine Matte Varnish from Army Painter was not testing it on a single model first, and not making sure the atmospheric conditions were right to use it to begin with. Instead I sprayed about 8 really nice pieces, which I used the QuikShade on, that also had really nice paint jobs to begin with. 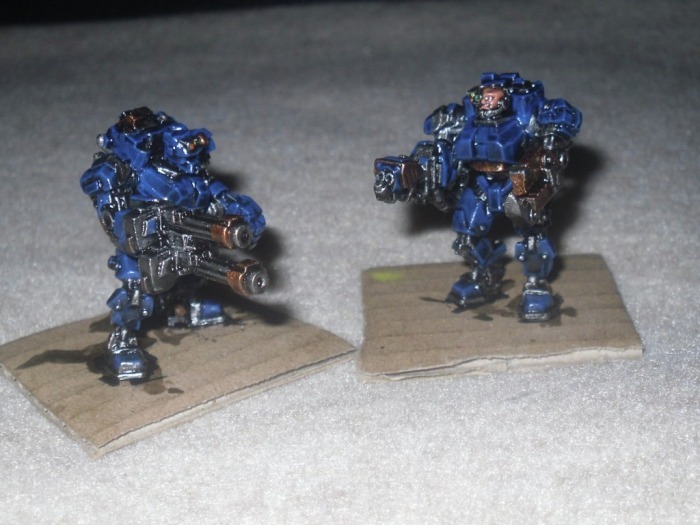 In doing so I ended up ruining a bunch of nicely painted miniatures, many of which I was to use for more than this article alone. I tried various methods of fixing the models too, none of which worked. Weeks worth of painting work down the drain, and why? Because spray varnish is pointless in the summer here in a very humid environment. I'll admit it, this is partially my fault. The humidity is high here in SouthWestern, PA during the hottest summer months, and I should have known better. 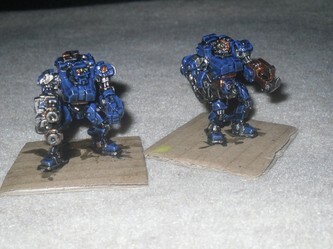 The conditions just weren't right to use the spray varnish. I normally spray prime at night time, when it cools off, and when the humidity is much lower. I made the mistake of using this varnish around noon on a 90+ degree day with 90% humidity in mid-July, and the results were horrific. I ended up with frosted models. 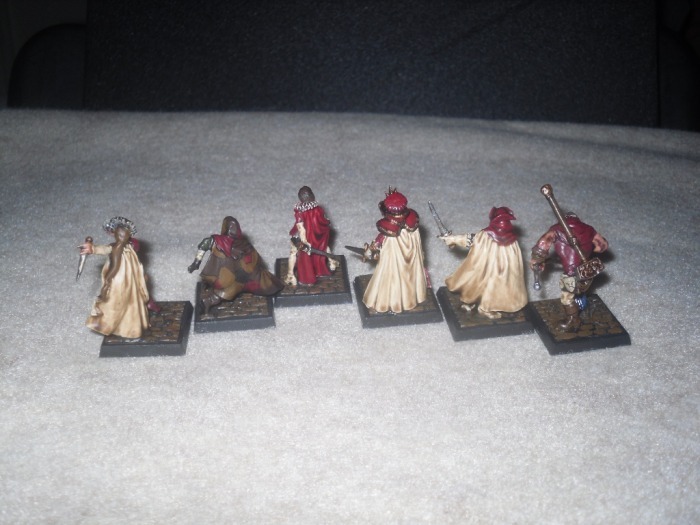 My models ended up totally obscured by a white mess once dry. I had to strip them all and start over now. This was a problem too. With the QuickShade on the models, that was yet another layer of stuff to strip, which didn't come off so easily. 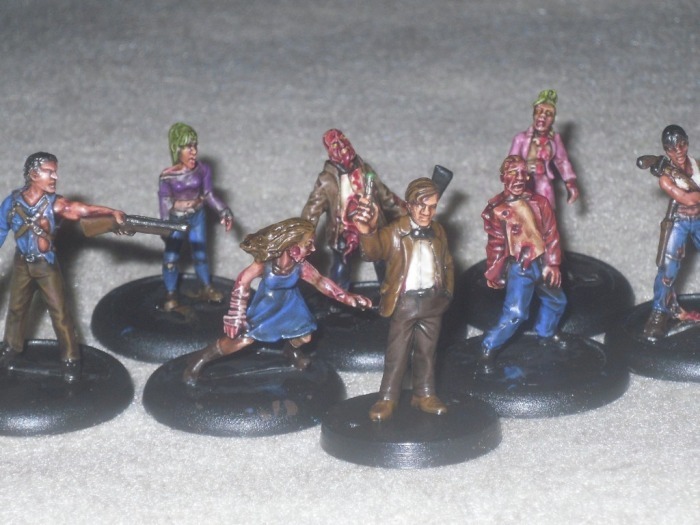 If I had used plastic models, I think I'd have been really screwed, because I'm almost certain I wouldn't have been able to soak them very long in turpentine without ruining the plastic models. Thankfully all the models I frosted were all metal. 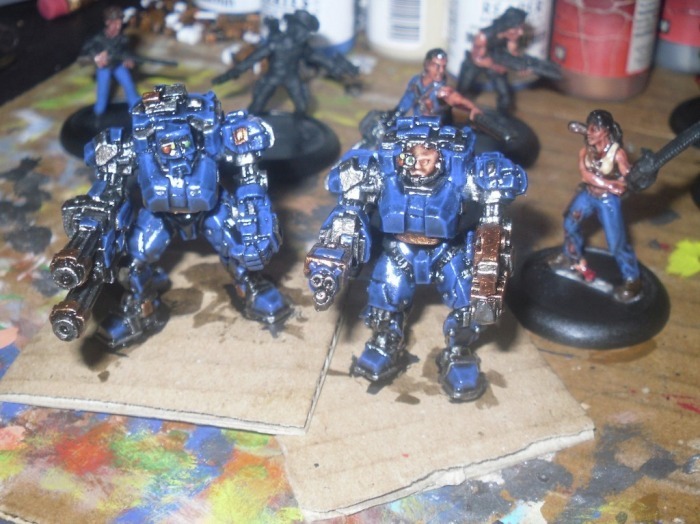 I can't fault the Army Painter varnish for this problem in general, because there's no aerosol spray varnish in existence that's worth a crap in high humidity. This isn't an issue that's limited to Army Painter's product, this can and will happen at random with ANY aerosol varnish out there. It just so happens that it occurred during this review process, and I have to mention it to help others avoid the same scenario if at all possible. I am in no way putting down, or blaming their product for this incident either. I'm just making some facts clear about aerosol-based varnishes in general to save others from the nightmare I experienced. 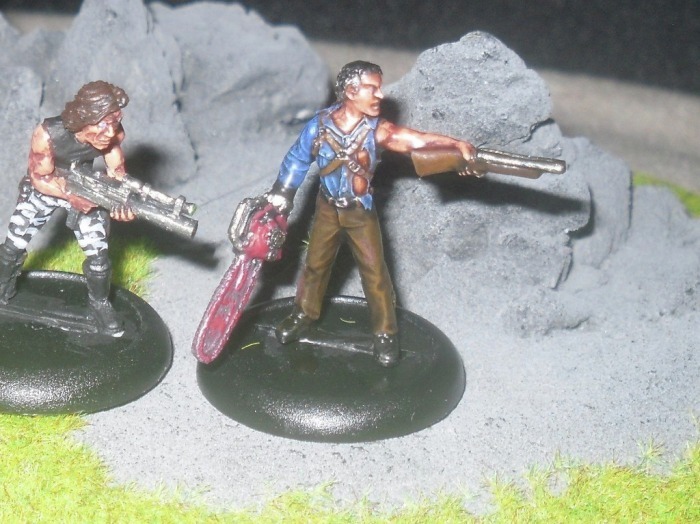 Having said that, I opted to use a brush on matte varnish/sealer from Ceramcoat to dull down the gloss from the QuickShade on all the rest of the models I dipped for this review. Technically if you like glossy models, you could leave the models as they are after the QuickShade treatment, as it does dry leaving a hard protective coating like any other varnish/sealer. However the finish is so glossy, that I don't think anyone would want to leave them as is. I've tinkered with this stuff on figures I've painted, and used inks and washes on beforehand. I also used it on figures with very basic paint jobs, minus washes, and highlights. If you're in a big hurry, you can simply paint some models up with very basic paint jobs, minus washes or highlighting, slap on some QuickShade, and in the end you'll have some decent table-quality models to work with. It definitely does what it's advertised to do. QuickShade also helps to bring out a little more detail on figures you've painted, washed and even highlighted just the same. My only gripe would be the excess pooling in areas where you don't' want the QS. Thankfully you can touch up stuff after they've been given the QS treatment too, so you can paint over the QS. More than anything, you just need to be careful during the application process, pulling it away from areas where you don't want it. I took me some trial and error before I got it right. I learned to let the QS set for a minute or two, then to check over the model well, pulling the QS from areas you don't want obscured by the dark goop. QuickShade is also a nice way to spice up models, which you may have painted quickly, and were never really happy with. QuickShade helped breathe new life into my MERCS Minis YellowJackets squad. I never like the paint job I gave them, and I didn't want to take the time to strip them and start over. 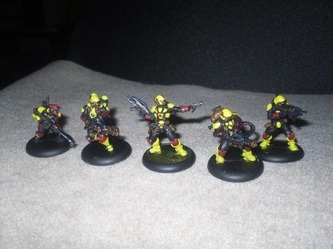 They simply sat in my display case as they were since my initial MERCS review. The QuickShade Strong Tone helped to add more detail and depth, to what were quite average paint jobs, and now I have models that I wouldn't be embarrassed to set on the table and play with. This stuff is ideal for models which lacked detail, because maybe you didn't use any washes, or inks, or you simply were a less experienced painter when you first painted them too. 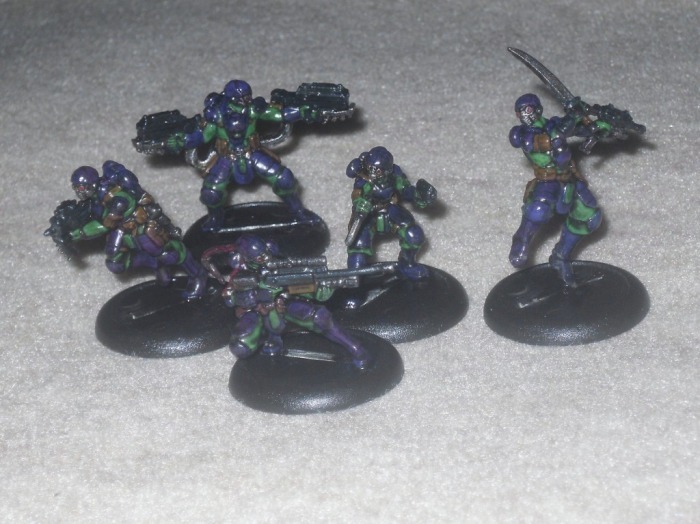 Those old Space Marines from a 40k Starter set you might have laying around, or some of the first Flames of War models you may have painted when you got started with wargaming would stand to benefit from QuickShade. The difference between the Strong and Dark Tone is that the Strong uses a dark brown pigment, where as the Dark Tone is based on a strong black pigment. Dark Tone is definitely much darker than the Strong tone, and I found it more useful on models utilizing dark colors to begin with. It's really a matter of preference more than anything. I think overall the Strong Tone would be the best product to start with if you did opt to give QuickShade a try, because it's the middle shade. It's also the shade I've found to be the most useful. While I haven't seen the Soft Tone first-hand, I've seen pictures of it next to models dipped in the Strong Tone. It looks to be too light to be of much use to me, but others looking for a lighter option than Strong Tone might want to give Soft Tone a shot. There was a time years ago, when I used to think there was nothing better than GW's matte black primer. I no longer see things that way ever since GW jacked their prices up so high, that $15 for a can of black GW primer just doesn't make a bit of sense, and I can no longer afford it. I was also sent a can of the Army Painter Matte Black Undercoat aerosol primer, so that I could use the primer, QuickShade and then their Varnish all together, for the optimal Army Painter effect. I really don't have as much of an issue with aerosol primer, as I do aerosol varnish/sealers, because if primer messes up all you have to do is strip the primer from the models, and try again. You're not loosing hours, days or weeks worth of painting effort like you do when aerosol varnish/sealer goes wrong. The worst thing that can occur with primer, is it can end up building up a layer which resembles fuzz. The fuzz effect is also the product of using the aerosol primer in not so ideal humid conditions. Again, like the varnish/sealer in aerosol form, this is not an issue that has anything to do with Army Painter, it can occur with any aerosol-based primers when the conditions aren't ideal. I tend to spray at night when it comes to priming, and I'm glad to report I've had no problems at all with this Army Painter primer. I like that it's a very deep black, which is one reason I stuck with GW primer for so long. My only gripe about this can, is how they have the cap sealed on via what's supposed to be some sort of snap or tear away seam. It does a fantastic job of keeping the lid on during shipping, and it will definitely keep people from popping off the lid and fooling around and spraying it at retail too. The problem is, I ended up having to use a few different tools, before I could get the cap off, and I feared I would poke a hole in the can in the process, because the cap was on so well. If I didn't know any better I'd think that the pull away seal on this can, simply wasn't made to be opened. I don't know if that was a factory defect cap seal, or what, but this cap wasn't coming off without a major fight. I had the same problem with the varnish/sealer cap seal. It's nice to see it will get to me in one piece, but there's no reason to have a method so secure, that the actual customer can't get to their product once they get it home. You certainly won't win any Golden Demon Awards, or any other painting competitions in general by using QuickShade, but the end result does yield a nice looking model if you use it properly. I tend to use all kinds of washes and inks as it is, so I doubt I'd use QuickShade all the time, but it is a nice option if you are in a hurry to add some depth, and detail to some models. Any aerosol varnish scares me, and it's not Army Painter's fault. I know if the conditions were right, it would probably work well, but it's still summer time here in South Western, PA, and I'm not about to chance ruining any more models. If you live in a humid environment, I'd recommend staying away from ANY aerosol based varnish, not just the Army Painter brand, all of them. Therefore I can't fairly judge the Army Painter Varnish/Sealer at this time. Once fall kicks in, and the humidity of summer is long gone, I'll take another look at this varnish and judge it at that time. Until then the jury is out on it. Cost-wise the QuickShade isn't cheap. The cost is the biggest thing going against it. I just can't fathom why a can so small (250ml) would cost $29.99. The original Miracle Dip idea has been around for years now, and it used a specific shade of Minwax Polyshades wood-stain/sealer which comes in a 1qt can too. At the most that brand and shade of wood-stain/sealer cost $15, if you can find it. You can get almost the same results from it, sticky mess and all, for a fraction of the cost. The difference is, this stuff was fully designed with wargaming models in mind, and it carries the Army Painter name on the label. QuickShade also smells better. Additionally I noticed that the QS doesn't stain and dull colors as much as I remember the Miracle Dip method did. Therefore QuickShade is the better product of the two, but it does cost nearly twice as much. You must also factor in that you will require some turpentine for clean up, which adds another $5-$6 to the total, no matter which product you would use. 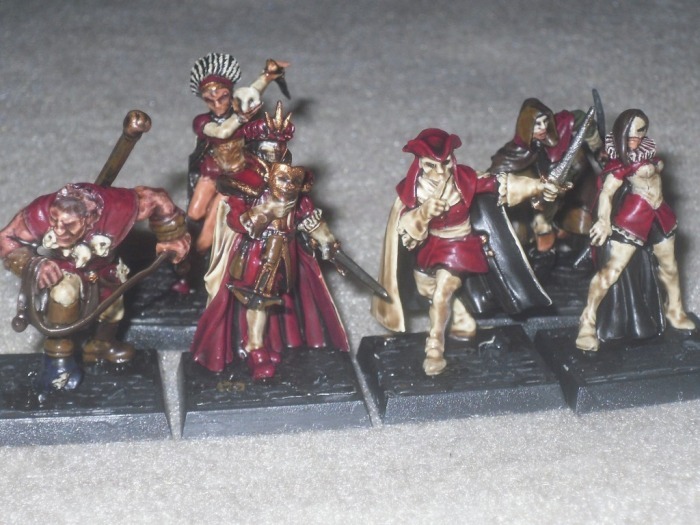 They do claim each little QuickShade can will cover 200+ models. By looking at what I've used so far, I'd say that's probably a fairly accurate assessment. If you brush it on, I bet you could cover more than 200 easily. I also can't say that it doesn't work as advertised, because it works, and works very well. 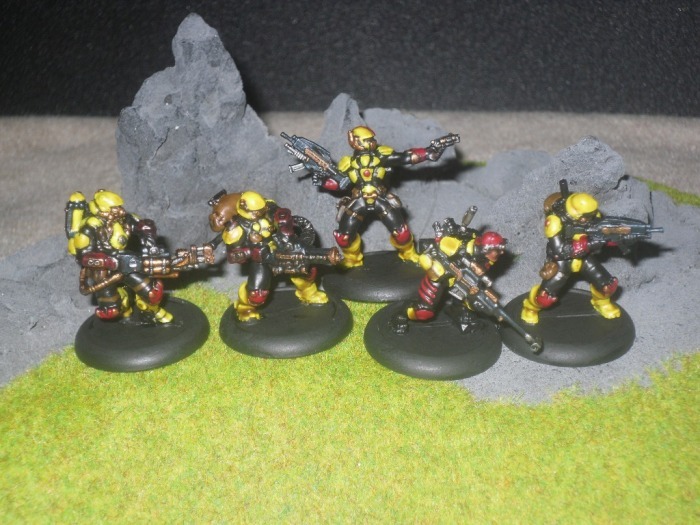 QuickShade isn't worth it if you're looking just to dip a few models. If you have a major project ahead of you, like a 2,000+ point army for 40k or Warhammer Fantasy, then I can see picking up a can of QuickShade. 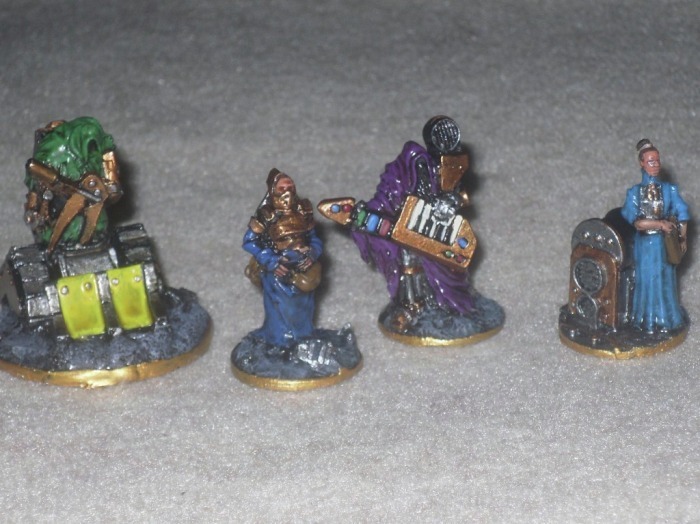 Otherwise it's not a cost effective solution to fool around and dip a few models for a small Warmachine 35-point army, or if you're putting together say a 500 doubloons-size Crew for Freebooter's Fate even. As the name implies, this stuff is by design made for dealing with Armies. I do however find the primer to be essential. I think it's just as good as the overpriced GW primer I used years ago. 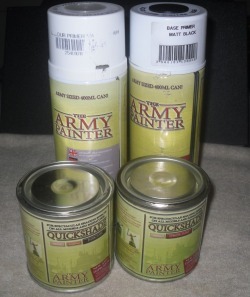 At $10.99 a can direct from Army Painter, and about $9 discounted online via other retailers, it's probably the best, and most competitively priced aerosol primer out there you can get. If you're looking for a more affordable alternative to GW's matte black primer, this is definitely the stuff. Since GW black primer is $15 now, I can't see why anyone in the right mind wouldn't buy the Army Painter primer instead. 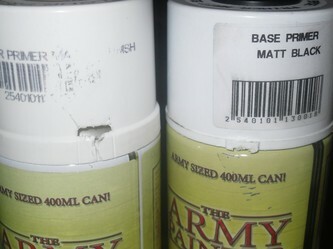 I was using $6 a can primer from Armory for the past nine months, but the problem with Armory is there are simply bad cans of it out there. With Armory I would at random end up with a can that feels full, but it wouldn't spray at all. If Armory wasn't so inconsistent, it would remain my first choice in aerosol-based primers for the cost, but even the Armory black isn't as dark as the Army Painter primer. Therefore I have a new favorite #1 black primer, and it's the Army Painter brand. All in all, I think the QuickShade method has its uses, but since they don't offer smaller amounts of it, the only way to justify the cost is if you have a variety of projects ahead of you, and you want to get them done quickly. It's not at all a bad method of adding depth and detail as the pictures reveal, it's just a different method, which can be quite messy if your not careful too. I'm only afraid that now I have QuickShade, that I'll become a lazy painter, because it's too tempting to cut some corners and use it. The results are nice enough, that it if you can deal with tabletop quality models, you stand to gain more time to play, and less time painting with The Army Painter's QuickShade.